We recently took a vacation to visit my family in St. Louis, MO, for a week. Before heading out, I knew I had my perfect opportunity to paint the rest of the counters so they could cure for that entire week without us being inconvenienced. It was a real treat to come home to. 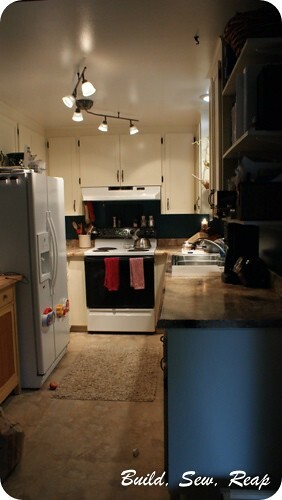 We've since settled back in to using the counters so I opted not to fully stage the kitchen before taking pictures. I figured it would be more telling to see the counters in action anyway. 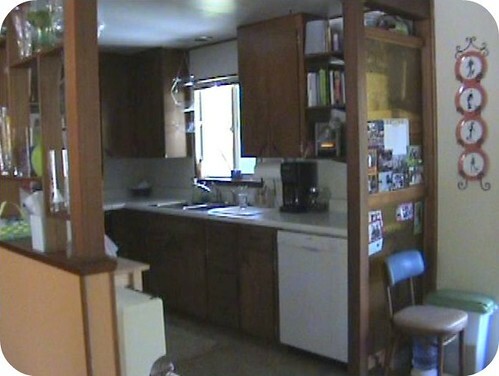 Just for fun, I'm going to show you a series of pictures of our kitchen from where it was before I started tinkering with it a few years ago to now. 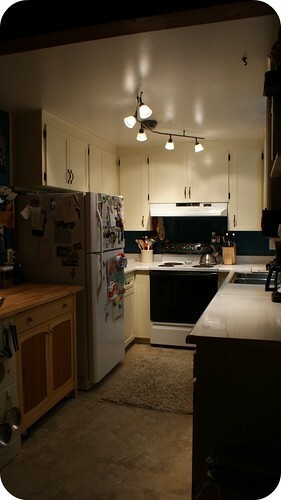 Yep, I pretty much love the darker counters and I'm really excited to have granite-look counters ... at a glance anyway. 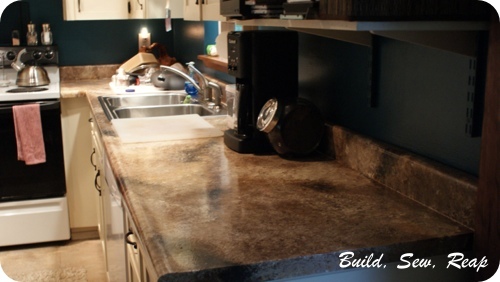 Here's how you can do your own faux-granite countertops. Oh, and in case you're a detail person and noticed that our fridge changed, yes, I (with a little help) hauled the garage fridge into the kitchen because I decided just a few days ago that I wanted a side-by-side fridge. Added bonus - it has the in-door ice dispenser. Yeah, we're really getting high-tech here.